Bullet tend to drop off at long range so these are best to use for close range encounters to make the most of its damage and accuracy. 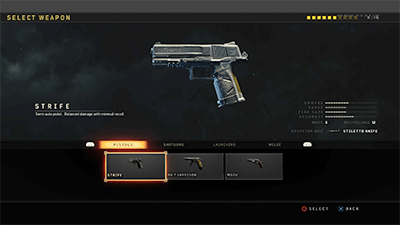 Handguns tend to have a small magazine size so you will find that you need to reload often when using them as a primary weapon. 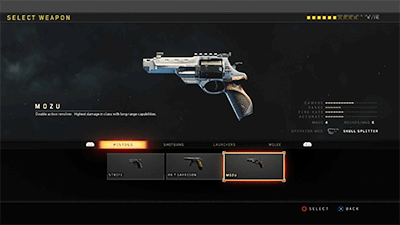 Handguns tend to have an accurate first shot so they are very good to use for finishing off enemies with health low enough to get taken out with a single shot. Handguns do not slow down your mobility. 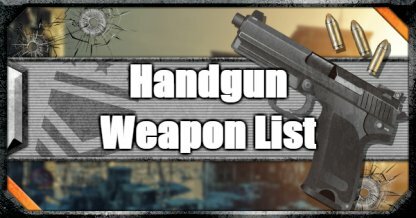 These make them excellent weapons to use when you need to take shots at enemies while relocating. 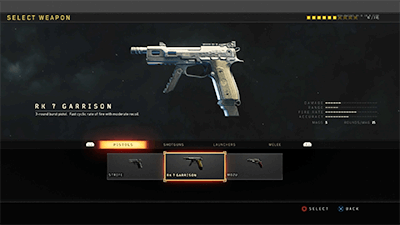 Since handguns allow you to move more freely, it is recommended as a secondary weapon in combination with sniper rifles and light machine guns to improve mobility.